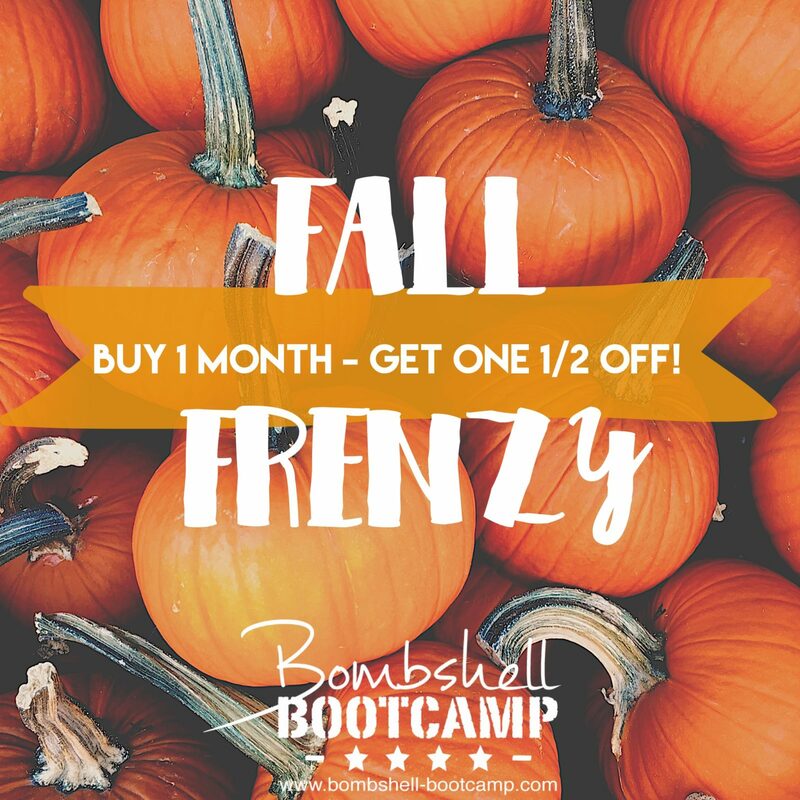 Every fall we usually launch our popular “Fall Frenzy” special. This special is a “BOGO” – buy one month, get one month half off! So, you can get 2 months of unlimited classes for only $150! That comes out to only $7.50/class! It’s a STEAL! BUY HERE! *Don’t wait – this special will only be available for purchase for the next couple of weeks! You will need to use both months consecutively and limit to one per person. Email us at info@bombshell-bootcamp.com if you have any questions!